Properly disposing of prescription drugs is something most people never think about but is actually very important. Many people simply flush unused medication down the commode or send it off to the landfill. The reason this is not a good thing to do is because medications often have strange chemical make-ups that can contaminate the water supply in very strange ways. An extremely short Spartanburg Herald Journal article on the drop box touches on another reason to get prescription drugs out of the house. This is to prevent them from being used by anyone who shouldn’t be using them. This article can be accessed here. Most people realize they shouldn’t flush poison down the commode but might not stop to think that flushing medication down the commode can be just as bad for the water supply. Currently the Town of Duncan doesn’t collect poison, paint and other things that shouldn’t be flushed down the commode but there is a collection container for prescription medications in the lobby of the Town of Duncan Police Department. 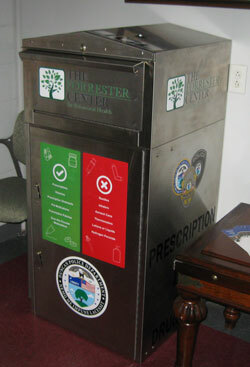 Simply visit their office during normal business hours to drop medications into the container with no questions asked. The last time this web page was up dated Spartanburg County didn’t have a way to properly dispose of prescription medications. 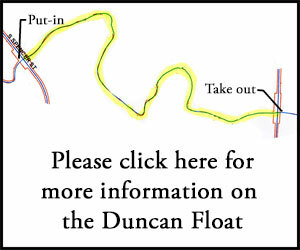 This service is offered at very few places of which the Town of Duncan Police department is one. Please contact the Spartanburg County landfill (864-949-0211 or website) for the proper way to dispose of things like poison, paint, and oil. Spartanburg County also has a “What and where can I recycle” web page which can be found here. If you notice prescription medications have been added to this list please let the Town of Duncan know and we will update this web page.